Welcome to your Reliable source for Professional Real Estate & Mortgage services. Contact me First for any of your Real Estate & Mortgage needs, and Enjoy the rest of my website. What other clients say about my services With great experience in San Antonio and Bexar County real estate as well as being a native San Antonian, I work extensively to help buyers and sellers meet their real estate & lifestyle goals. If you are looking to buy,sell, or obtain a mortgage loan for a home or would just like to know more information, feel free to call or Email me. As an independent Real Estate Broker, my comprehensive, agressive, successful marketing plan gives a homeowner the maximum exposure & best opportunity, along with the highest degree of representation & protection, to get the top dollar value for his/her property in a timely fashion. By working together as a team and trusting each other, we can accomplish much! For buyers, I supply you with a wealth of important information(schools, community, taxes, etc. )to assist you in making an intelligent purchasing decision. In addition, I search until I find the perfect property for you and then help negotiate the best possible deal .Nothing satisfies me more than seeing the smiles that come with a successful sale or the purchase of a lifetime. In my spare time, I enjoy working out at the gym with the stair climber, running on the treadmill and outdoors, and generally trying to keep fit. 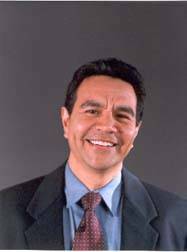 I was a professional DJ on the radio for many years in San Antonio, & I still play mobile DJ music for weddings, corporate events, and other functions. I am also a professional Master of Ceremonies and a former Toastmaster! 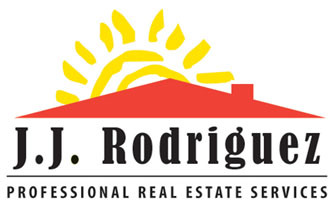 Thanks again for choosing me, J.J. Rodriguez, as your on-line San Antonio and Bexar County real estate and mortgage specialist. Hablo Espanol.